One of Letterkenny’s most iconic businesses has closed its doors in recent days. The shutters have remained down on the famous Bakersville restaurant at Church Lane in the Cathedral Town. The business, which was opened more than 15 years ago by the local Keeney family, was a hugely popular meeting place for many people. Last night a source close to the shop said “We’re not sure why it closed. Hopefully it will open again because the staff were so friendly and the food was great. 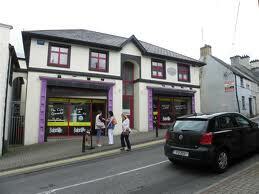 “We’re just hoping it has not become another victim of the recession like so many other shops before it. “Bakersville was all that was good about Letterkenny and Donegal. Hopefully it hasn’t closed for good because it will be sorely missed if it had,” he said.